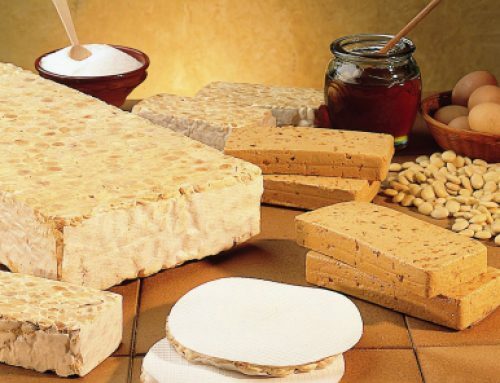 Today Sirvent want to share the recipe for how to make a good cake nougat with almonds and walnuts. 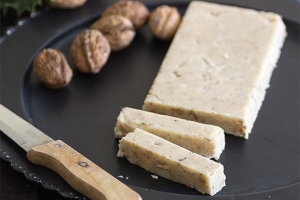 That’s why, if you want to learn how to make your own cake nougat with almonds and walnuts, must read the following recipe … and of course you have to try to make this nougat cake in your home. First, to say that if you are very fond of this cake nougat nougat with almonds and walnuts are going to enjoy very much. This nougat cake is very rich, yet very simple to do. As in all our recipes, before starting the recipe nougat cake with almonds and walnuts, I have to say, very proud, artisans eating nougat is a healthy way of eating, since most do not use additives or artisans preservatives, thus leaving our nougat as possible rich and healthy, and of course eat homemade pies candies, as this nougat cake with almonds and walnuts, is also very healthy, if nougat artisans are used and / or products first quality. 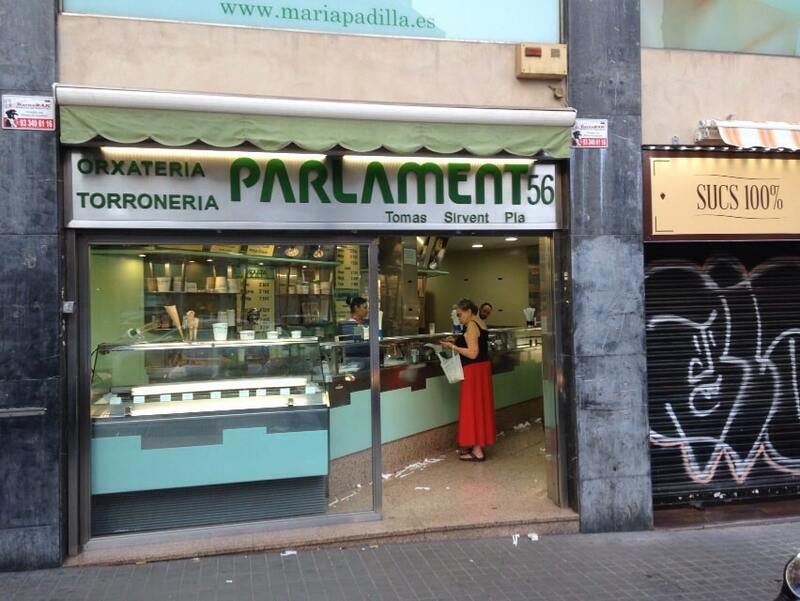 Having said all that, we started the pie recipe nougat with almonds and walnuts, a recipe that Barcelona would love Sirvent the probaseis into your houses to eat with yours. First, as in all recipes articles that we published, we will present each and every one of the ingredients that you must have on your kitchen counter, to start making your nougat cake with almonds and walnuts. 50 gr. chopped almonds (optional, decoration)If we have all these ingredients ready in our kitchen counter, and we are ready to start making our nougat cake with almonds and walnuts. First, we prepare the mold untaremos a very thin layer of butter in pan. Melt the remaining butter using the microwave. With the grinder we grind the cookies, if you have no grinder, a dishcloth cast cookies, wrap and crush with a spoon or something heavy, and it should be like breadcrumbs. 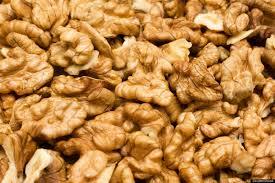 In the same chopper, chop until they run as our favorite meal nuts, I recommend walnuts, hazelnuts and almonds, but here you can add those that you like the most. 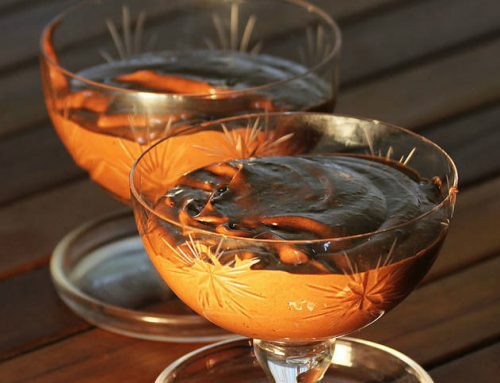 Mix with a hand blender or rods melted butter with sugar, a few drops of vanilla essence. Mix everything in a large bowl, the crushed crackers, nuts and butter mixture. We distribute, handed out by the base (in the mold) and press against the bottom with the help of a spoon or your fingers. Preheat oven to 200 ° C for about 10 minutes and enter the biscuit base about 5 minutes to about 180 ° C to harden, evaporate a little extra fluid and crisp stick with that characteristic. We took the pan and let cool and reserved, thereby let it finished settling into the mold. After the preparation of the base of the cake nougat with almonds and walnuts, we will have to prepare the same nougat cake. Crush the rest of almonds to a medium size, and should not be too thin but rather crunchy type (also can find that in almost all supermarkets) these will be reserved for the final processing of the pie, always remembering that this step is optional, as it is part of a decor of the same nougat cake with almonds and walnuts. 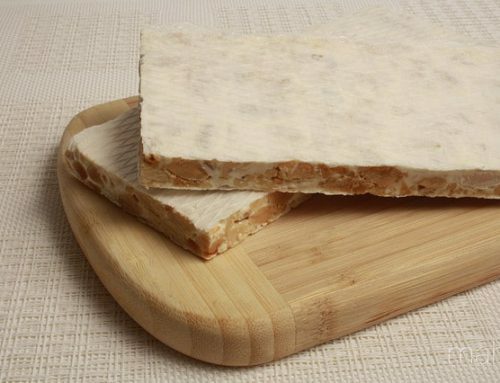 Of followed, prepare soft nougat Jijona and left with a fork or knife into very small pieces. At the same time, we put the cream and whole milk to heat in a large saucepan over low heat, and when hot (without reaching the boiling point) cast Jijona nougat previously crumbled. We leave on low heat to helping all comes together with a wooden spoon or with a touch of the mixer, the best option. We turn off the heat and mix aside and nougat cream and hot. Add eggs and two tablespoons of sugar. The mix well until homogeneous well, and let stand off the heat, a prudent time. The next step is the most complicated of the recipe for this cake nougat with almonds and walnuts, we pour over the biscuit base will already be very warm, the whole mixture we have reserved slowly with a spoon, without breaking the biscuit base. This is best done directly on the plate and the furnace so that the mixture does not dance. The oven must be preheated to 200 ° C, for about ten minutes before placing the cake. And cooking the same will be between 30 and 40 minutes, and advice from the team of Barcelona Sirvent, is that when the cake takes 10 minutes in the oven cover with foil to prevent the surface of the cake nougat burn. When nougat cake takes about twenty minutes in the oven is the time to add the chopped almonds, put on the surface with a thread of honey, let toasted and go caramelized honey, this is what you will give a crusty surface to the cake. This step as we mentioned is optional, the cake will be just as good both ways, it’s just part of the decor and the subsequent presentation of nougat cake. Retired nougat tart from the oven and let it cool off for a few hours. 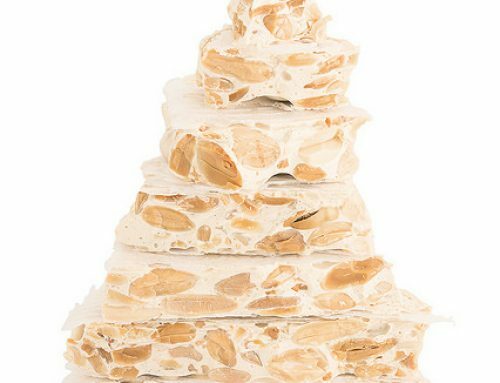 Unmold the cake nougat carefully and if you allow us another tip, this type of nougat cake earns a lot more than one day to another, and best is is cold. 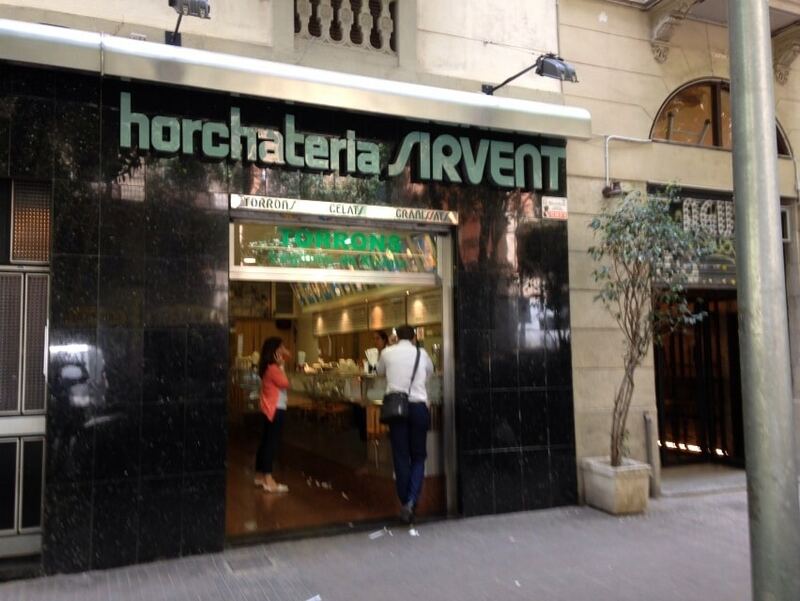 If you follow this recipe you’re going to be able to enjoy the best receptas of nougat cake with almonds and walnuts in the Horchateria Sirvent Barcelona know and use in your own home. Now we just need to try it at home to do it and you get it great that you may enjoy good nougat cake with almonds and walnuts. Now we just need to add a very important step: If you do throughout the entire recipe … send a photo of your nougat cake with almonds and walnuts on our social networks (Twitter or Facebook ), and in this way you will encourage more people to try this great and rich cake recipe nougat with almonds and walnuts.